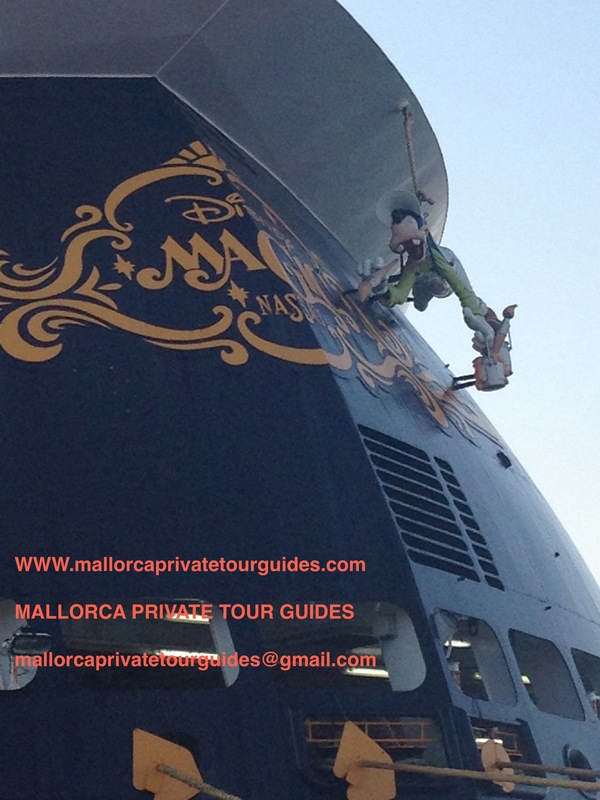 Friday 12th July, the Disney Magic called in Palma de Mallorca, in one of the two scales that Disney Cruise Line have planned this year in Mallorca, next time that Disney Magic visits Palma will be on August 9th. Disney Cruise Line is owned by Walt Disney Company, The Disney Magic was the first ship in the Disney cruise line fleet,and it was launched in 1998 and a year after the Disney Wonder was built ,in 2011 was incorporated into the Disney fleet Disney Dream and finally the Disney Fantasy, its newest cruiseship. Disney Cruise line is dedicated mainly to families wishing to enjoy a magical experience on board, there is not a theme park (as the world famous Disney theme parks), and is not the classic cruise, it is just a place to unleash the imagination and enjoy an amazing vacations in hands of Mickey Mouse and his pals. The Disney Magic was built by Fincantieri shipyards in Marghera, Italy, and was delivered to the company, Disney Cruise line in June 1998, it is flying bahamas flag , has a length of 294.10 meters (964.9 ft) and a breadth of 32.25 meters (105.8 ft), an astonishing gross tonnage of 83338 tons, and it is equipped with 2 propulsor motors 38000kw and the cost was 350 million dollars. 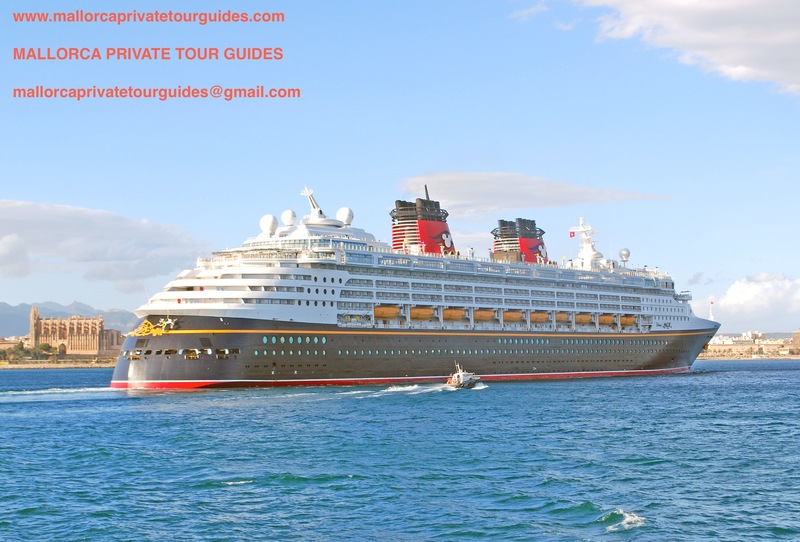 The Disney Magic boast 11 expansive passenger decks and 875 staterooms some of them especially designed for families (80 families staterooms),12 elevators and 3 outdoor pools (one for kids, one for families and one only for adults) and 6 whirlpools, a great place to relax. With no casinos onboard, Disney Cruise Line was able to create even more space dedicated to families, as its impresive Walt Disney theater a place to enjoy the wonderful live Disney shows, and Buena vista theater with a huge screen to enjoy Disney movies, a for the Little ones a children’s nursery. During its visit to Palma,the Disney Magic was carrying 2611 passengers from 62 different nationalities, including 982 Spanish and 391 U.S. citizens. 1000 cast and crew members of 59 different nationalities, including 215 Filipinos, 108 Indonesian and 120 Indians. The captain Mr.Olmer Robertus from Holland is supported although by other reputable captain on board, Captain Mickey Mouse. The experience of sailing aboard one of the Disney cruises, in a mix of the nostalgic cruises, the romantic idea that we all have and the thrilling experience of sharing the cruise with Disney characters, is the ship of illusion, where dreams come true, and even onboard passengers enjoy a night of Fireworks as in the famous Disney theme parks, “pirates in the caribbean” party. Everything is special on the Disney Magic, the ship whistles even play a sort version of “when you wish upon a star” (Pinocchio soundtrack) instead of the typical ship blast. 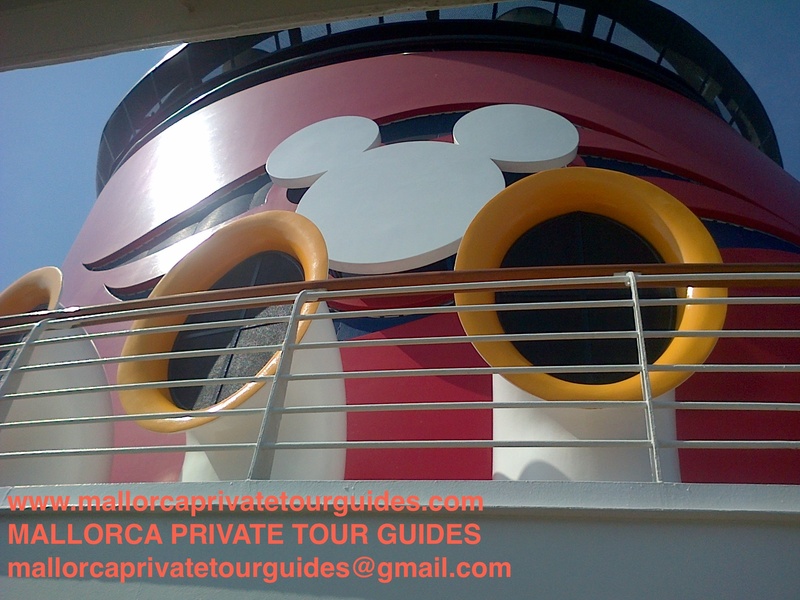 Mickey Mouse´s face and ears are painted on the funnels, the exterior colours of the ship are those of Mickey, and a 15ft Goofy hanging upside down in a bosun´s chair painting the stern of Disney Magic. Inside the luminous atrium lobby a bronze statue of Helmsman Mickey—designed by Walt Disney Imagineers. The ship is designed for the amusement of the smallest members of the family and of course on board a very special crew, that will delight children and adults, Disney characters , that you can meet and great or enjoy onboard a characters breakfast or dinner, an experience not to forgotten. Several spaces on board dedicated to children, with game rooms adapted to each age of their most special passengers, endless amusement on board. Obviously can not miss on board a Disney store where you can buy the merchandising of the Disney company. And in a Caribbean cruise, can not bemissing a visit to Disney’s private island, Castaway Cay located in Bahamas. Walt Disney was born in December 1901 in Illinois, Chicago, he was the fourth son of family of farmers with Irish origin, he was working for a time delivering newspapers and his first animated movie was Alice in Wonderland and from there he would start on the world of animation and he created his famous animated mouse called initially Mortimer, and then he changed its name to Mickey Mouse, the most famous animated star of Disney´s empire. No doubt,Mickey Mouse has been part of our childhood. But first of all Walt Disney was a visionary and in 1955 he opened his first theme park”Disneyland” in Anaheim, California,unfortunately Walt Disney died of lung cancer in 1966,when Disney World in Orlando,Florida was still not finish. Disney World opened its doors in 1971. This genius created a world of fantasy and illusion and showed us all that always remains within yourself the spirit of a child, through each of his characters has guided us through our childhood and taught us important values ​​such as friendship, respect …. And being on board a Disney cruise is part of one of those dreams to come true “dreams come true”. Let yourself to be embraced by the Disney magic, and its Disney´s characters, and discover during your Disney cruise magical cities as Palma de Mallorca. 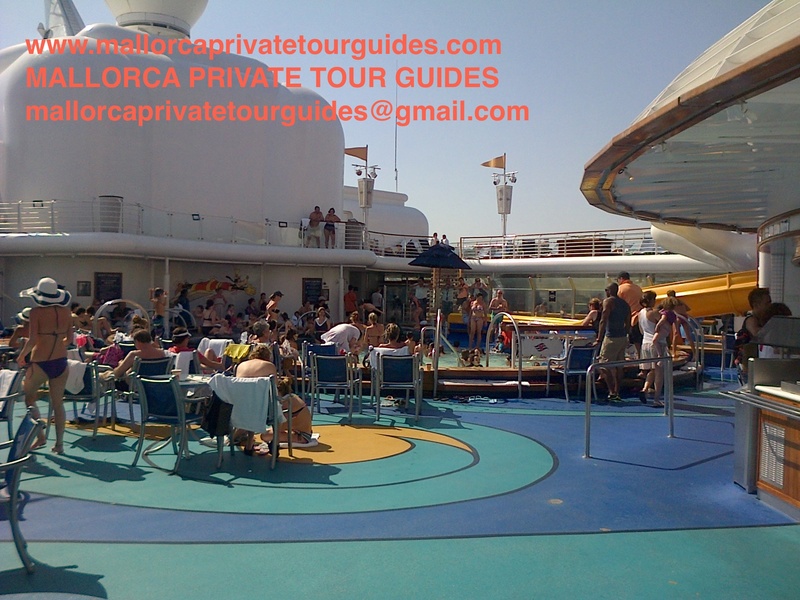 From Mallorca Private tour guides we are sure that passengers which came aboard Disney Magic and visited Mallorca, realized that they had been taken by Disney ´s dream into a Mediterranean paradise full of unforgettable experiences. 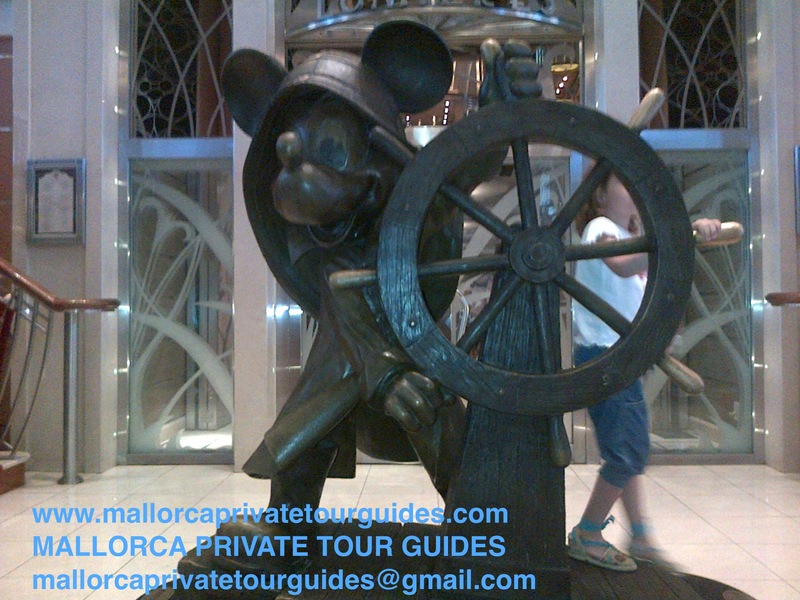 And just as the Disney characters have guided us through our childhood and taught us so many and many things, the guides of Mallorca Private Tour Guides will take you to amazing places to discover. Let yourself to be impressed by the majesty of the Bellver Castle located on a hill overlooking the bay of Palma, as Cinderella´s Castle leaves you with no words when you get into Magic Kingdom. Feel yourself like a Disney princess in a fairy tale walking into the streets of the old town Palma and discover its palaces and stately homes with amazing courtyards. Ride our particularly “Polar Express” and travel with our tour guides with the old Wood train to Soller the heart of the oranges valley. Discover Nemo and his friends visiting with Mallorca Private Tour Guides Marineland. And have a swim into the crystal waters of our majorcan beaches just as good as the Castaway beaches…. 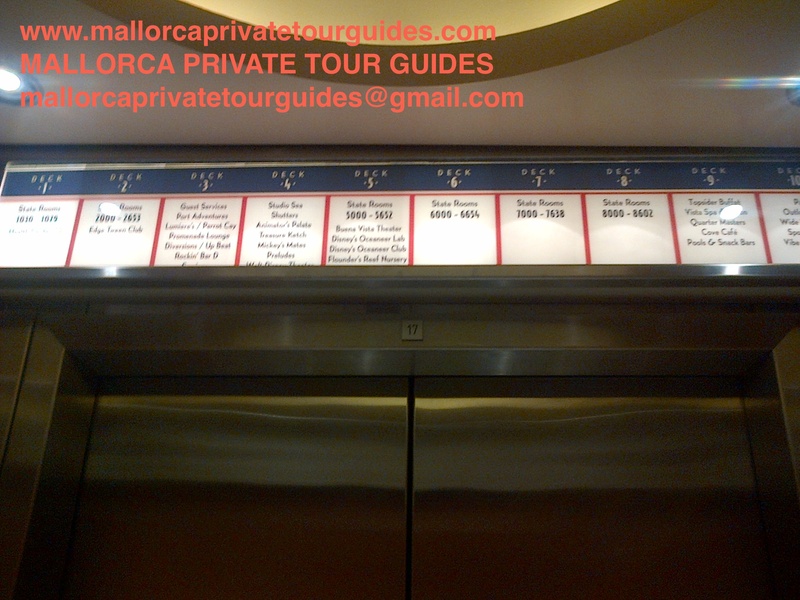 Let us to be your guide and visit with Mallorca Private Tour guides this Mediterranean paradise. 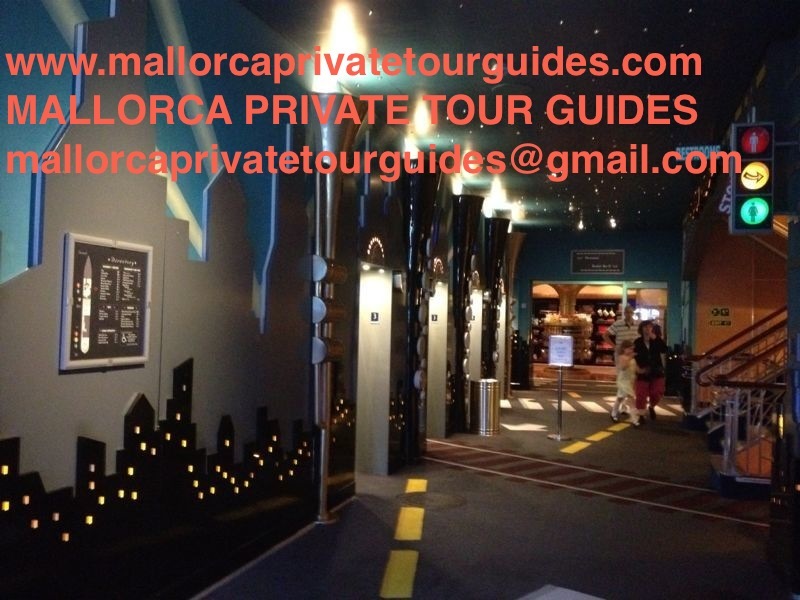 Make your dream come true and visit Mallorca with Mallorca Private Tour Guides. 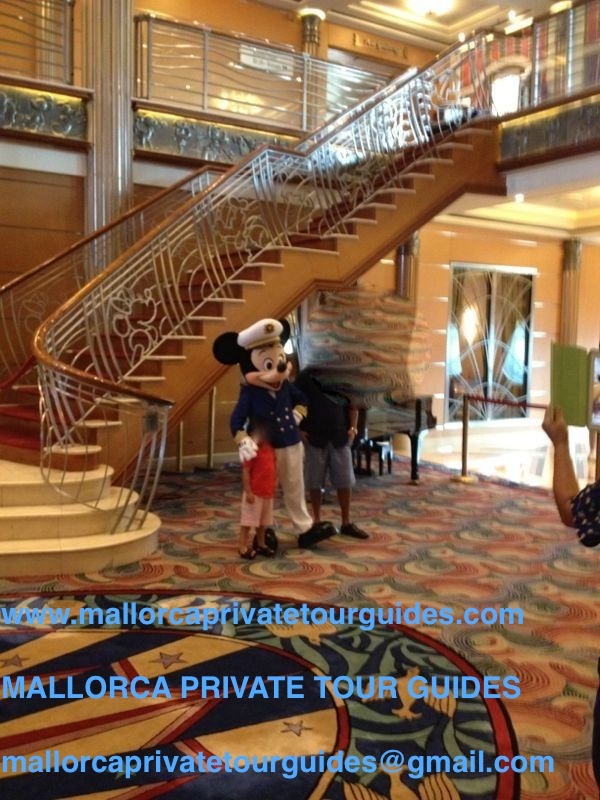 This entry was posted in Mallorca events, Palma City, Palma de Mallorca Port & Cruises and tagged anaheim, bellver, buena vista, California, captain, cast, castaway, castle, cathedral, cathedral of the sea, caves, character, characters, come, courtyards, crew, cruise, cruise line, cruiseship, disney, disneyland, drach, dragon, dream, dreams come true, fairy, family, fantasy, fincatieri, floridadreams, gastronomy, goofy, gothic, guides, helmsman, helmsman mickey, highlight, italy, kids, kids friendly, kids tours, kingdom, la seo, line, magic, magical, majorcan, mallorca, marineland, mediterranean, memories, mickey, mortimer, mouse, movie, movies, nemo, old, old town, orange, orlando, palaces, palma, palma de mallorca, pals, parks, private, shipyards, shows, Soller, stately homes, staterooms, store, tale, theme, tour, town, true, vacations.mickey.mouse, valley, walt, when you wish upon star, wonder, world. Bookmark the permalink.